Sam (Lloyd Nolan), Jim (Fred MacMurray), and Wahoo (Jack Oakie) are three outlaws in the old west. Wahoo works as a stagecoach driver and always lets Sam and Jim know which coaches will be worth holding up. It’s a pretty good scam until the authorities get wise to their scheme and set out after the three of them. 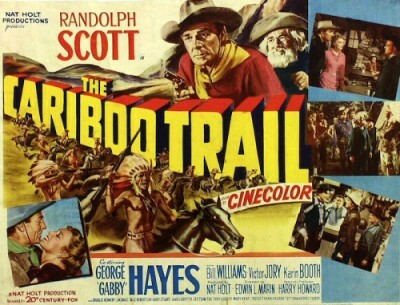 Sam abandons his two partners while Jim and Wahoo eventually end up in Texas. At first, Jim and Wahoo are planning to keep on robbing stagecoaches but then they realize that they can make even more money as Texas Rangers. At first, Jim and Wahoo are just planning on sticking around long enough to make some cash and then split. However, both of them discover that they prefer to be on the right side of the law. After they save a boy named David from Indians, Jim and Wahoo decide to stay in Texas and protect its settlers. The only problem is that their old friend Sam has returned and his still on the wrong side of the law. 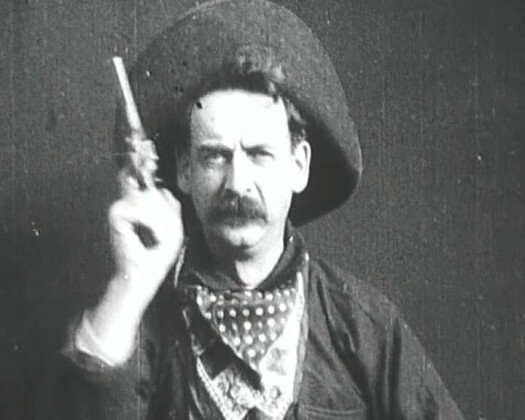 Made to commemorate the Texas centenary (though it was filmed in New Mexico), The Texas Rangers is a good example of what’s known as an oater, a low-budget but entertaining portrayal of life on the frontier. King Vidor does a good job with the action scenes and Fred MacMuarry and Jack Oakie are a likable onscreen team. The best performance comes from Lloyd Nolan, as the ruthless and calculating Sam. Sam can be funny and even likable but when he’s bad, he’s really bad. Jack Oakie was better known as a comedian and The Texas Rangers provides him with a rare dramatic role. Four years after appearing in The Texas Rangers, Oakie would appear in his most famous role, playing a parody of Benito Mussolini in Charlie Chaplin’s The Great Dictator. Cleaning Out the DVR Pt 13: ALL-STAR WESTERN ROUNDUP! George Marshall has long been a favorite director of mine. Though he excelled in all genres (particularly Westerns), it’s his comedies that first caught my attention. Marshall guided W.C. Fields through his first for Universal, YOU CAN’T CHEAT AN HONEST MAN (with radio foils Edgar Bergen and Charlie McCarthy), did some of Bob Hope’s best films (THE GHOST BREAKERS, MONSIER BEAUCAIRE, FANCY PANTS), and directed MY FRIEND IRMA, the debut of Dean Martin & Jerry Lewis, later teaming with the pair for SCARED STIFF. He’s also responsible for the classic comic Western DESTRY RIDES AGAIN with James Stewart and Marlene Dietrich, and the remake with Audie Murphy. But his wackiest comedy is undoubtably the off-the-wall MURDER, HE SAYS. It’s the 1940s and World War II is raging. The U.S. Navy is model of military discipline and efficiency. Well, except for the U.S.S. Caine, that is. The Caine is something of a disorganized mess, where no one takes his job seriously and sailors have names like Meatball (Lee Marvin) and Horrible (Claude Akins). The men love Lt. Commander DeVriess (Tom Tully), largely because he has given up on trying to enforce any sort of discipline. However, DeVriess has recently been relieved of his command. As he leaves, Meatball gives him a new watch, a gift from all the men. DeVriess admonishes them, snapping that the gift is violation of Naval regulations. He then puts the watch on his wrist and leaves the ship. DeVriess’s replacement is Captain Francis Queeg and, at first, we have reason to be hopeful because Captain Queeg is being played by Humphrey Bogart. Surely, if anyone can get this ship into shape, it’ll be Humphrey Bogart! From the moment he arrives, Queeg announces that he’s going to enforce discipline on the Caine and if that means spending hours yelling at a man for not having his shirt tucked in, that’s exactly what Queeg is prepared to do. However, it also quickly becomes apparent that the awkward Queeg has no idea how to talk to people. He is also overly sensitive and quick to take offense. Whenever Queeg makes a mistake (and he does make a few), he’s quick to blame everyone else. Realizing that the men are turning against him, Queeg even begs his officers for their help. He asks them if they have any suggestions. They all sit silently, their heads bowed as Queeg somewhat poignantly rambles on about how his wife and his dog both like him but the crew of the Caine does not. Queeg’s officers are a diverse bunch, none of whom are quite sure what to make of Queeg or the state of the Caine. Ensign Willie Keith (Robert Francis) is a wealthy graduate of Princeton University who, at first, likes Queeg but quickly comes to doubt his abilities. On the other hand, Lt. Steve Marsyk (Van Johnson) has doubts about Queeg from the start but, as a career Navy man, his natural instinct is to respect the chain of command above all else. And then there’s Lt. Tom Keefer (Fred MacMurray). Keefer is a self-styled intellectual, a novelist who is always quick with a snarky comment and a cynical observation. (If The Caine Mutiny were remade as a B-horror film, Lt. Keefer’s name would probably be Lt. Sardonicus.) From the minute the viewers meet Lt. Keefer, our inclination is to like him. After all, he seems to be the only person in the film who has a sense of humor. If we had to pick someone to have dinner with, most of us would definitely pick the erudite Tom Keefer over the humorless and socially awkward Francis Queeg. As such, when Keefer starts to suggest that Queeg might be mentally unstable, our natural impulse is to agree with him. It’s Tom Keefer who first suggests that it may be necessary to take the command away from Queeg. And yet, when it comes time to take action, it’s Keith and Marsyk who do so while Keefer stands to the side and quietly watches. And, once the Caine arrives back in the U.S., it Keith and Marsyk who are court martialed. Will they be found guilty of treason or will their lawyer, Lt. Barney Greenwald (Jose Ferrer), prove that Queeg was unfit for command? Made in 1954 and based on a novel by Herman Wouk, The Caine Mutiny is one of those big and glossy 1950s productions that holds up a lot better than you might expect. The film has its flaws. In the role of Keith, Robert Francis is a bit on the dull side and a subplot in which he courts May Wynn feels unneccessary and only serves to distract from the main story. But, for the most part, it’s an intelligent and well-directed film. Humphrey Bogart turns Queeg into a pathetic and lonely figure and you can’t help but feel sorry for him when he talks about how his dog loves him. Van Johnson also does well as Marsyk, effectively portraying a well-meaning character who is in over his head. Jose Ferrer gets a great drunk scene at the end of the film and, of course, you can’t go wrong with Lee Marvin as a smirking sailor, even if Marvin only appears for a handful of minutes. 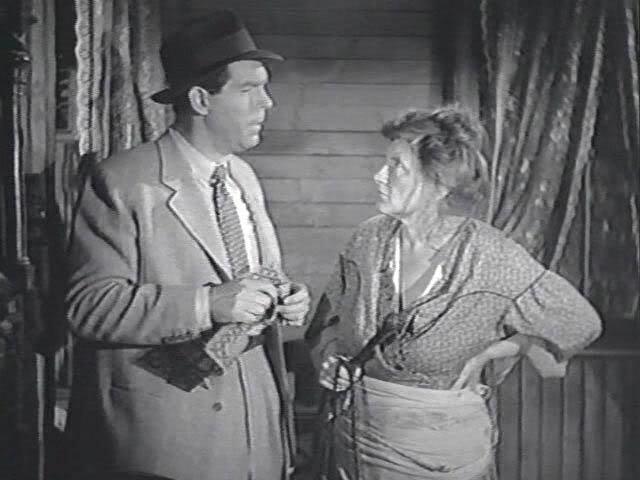 But for me, my favorite character (and performance) was Fred MacMurray’s Tom Keefer. Technically, Keefer is not meant to be a likable character. He’s totally passive aggressive. He’s pretentious. He’s smug. At times, he’s rather cowardly. And yet, Tom Keefer remains the most memorable and interesting character in the entire film. He gets all of the good one-lines and MacMurray delivers them with just the right amount of barely concealed venom. (“If only the strawberries were poisoned…” he says as he considers dinner aboard the Caine.) 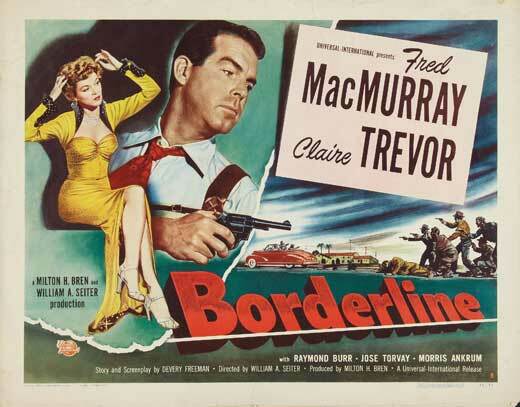 It’s a great role and Fred MacMurray gives a great performance. And you know what? I don’t care how bad a character he may have been. I still want to read Tom Keefer’s book! The Caine Mutiny was nominated for best picture of 1954. However, it lost to On The Waterfront. The 1944 best picture nominee Double Indemnity is probably one of the most imitated films ever made. While it may not be the first film noir, it is one of the most influential and its plot has been duplicated in countless films. In fact, it’s such an influential film that all one has to do is say, “Indemnity” and you automatically know that they’re talking about murder. Most people assume that the film is the story of Walter Neff (Fred MacMurray), an insurance agent who thinks that he’s smarter and smoother than he actually is. When Phyllis Deitrich (Barbara Stanwyck) approaches him with questions about how much her husband’s life insurance would pay off if his death was accidental, Walter immediately figures out that she’s talking about murder. At first, Walter tells her that he’s not interested but actually he’s very interested. Soon, he and Phyllis are lovers (though Walter, from the start, seems to know that Phyllis is just using him) and he’s plotting out her husband’s murder. After he does kill Phyllis’s husband, Walter makes it look as if he fell from a train. At first, the death is ruled a suicide but, just as Walter hoped, his best friend and fellow insurance agent, Barton Keyes (Edward G. Robinson), announces that it wouldn’t make any sense for a suicidal man to jump from a slow-moving train. Instead, Keyes successfully argues that the death should be ruled an accident and, as a result, the life insurance pays out for double of its value. However, the money makes Walter paranoid. He starts to worry that Phyllis will betray him. Even worse, he’s approached by the dead man’s daughter, Lola (Jean Heather). Lola tells Walter that she believes that Phyllis not only killed her father but her mother as well. Soon, Walter is involved with both Lola and Phyllis. Walter claims that he feels guilty and protective of Lola but MacMurray’s wonderfully ambiguous performance leaves us wondering just how much we should trust anything that he has to say. Now, as I said before, the film may be narrated by Walter Neff and it may be set into motion by his affair with Phyllis but ultimately, the film is not about his relationship with Phyllis. Instead, it’s about Walter’s friendship with Barton Keyes. When we first see Walter, he’s recording a confession specifically for Keyes to hear and the film ends not with Walter and Phyllis but instead with Walter and Keyes. In many ways, Keyes is the opposite of Walter. Whereas Walter is slick and amoral, Keyes is rather nerdy and ethical to a fault. Walter respects Keyes for his brilliant mind and, to a large extent, he does what he does because he wants to prove that he’s just as smart as Keyes. Keyes is the type of man that Walter aspires to be while Walter is the dark side of Keyes’s own obsession with mystery. It’s only appropriate that the film ends with Walter and Keyes because, ultimately, their friendship is the heart of the film. Double Indemnity is a classic. Barbara Stanwyck and Fred MacMurray set the standard by which all future illicit couples would be judged. But really, the film is stolen by Edward G. Robinson. Over the course of his long and remarkable career, Robinson was never once nominated for an Oscar. Watching Double Indemnity, you can’t help but wonder how such an injustice could have happened. After the Nun’s Story, I continued to experience TCM’s 31 Days of Oscar by watching the 1960 best picture winner, The Apartment. The Apartment is unique among Oscar winners in that it’s one of the few comedies to win best picture. (Though, in all honesty, it would probably be more appropriate to call The Apartment a dramedy.) 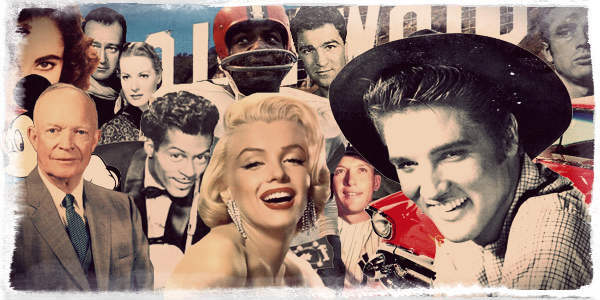 It was also, until the victory of The Artist, the last completely black-and-white film to win best picture. When Bud finally does get his promotion, it’s only because the personnel director, Jeff D. Sheldrake (an amazingly sleazy Fred MacMurray), wants to use Bud’s apartment. Bud celebrates his promotion by finally working up the courage to ask out Fran (Shirley MacClaine), an elevator operator who works in the office. What Bud doesn’t realize is that Fran is also the woman who Sheldrake wants to bring to the apartment…. Fran is convinced that Sheldrake is going to leave his wife for her. 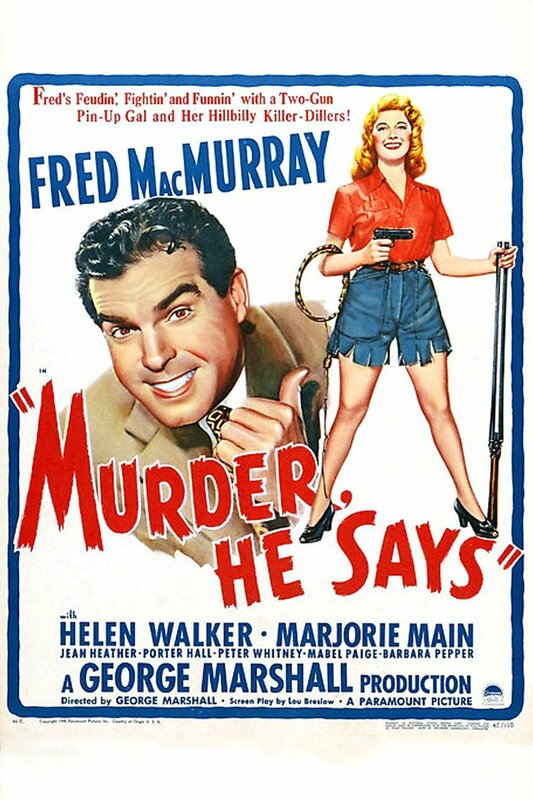 What she doesn’t realize — and what Fred MacMurray’s performance makes disturbingly clear — is that Jeff Sheldrake is basically just a guy having a midlife crisis. He’s the type of middle-aged guy that every woman has had to deal with at some point, the guy who pulls up next to you in a red convertible and stares at you from behind his sunglasses, attempting his best to entice you into helping him relive the youth that he never had. When Fran eventually learns the truth about Sheldrake, it leads both to near tragedy and to Bud having to decide whether he wants to be a decent human being or if he wants to keep climbing the corporate ladder. When one looks over a chronological list of all of the best picture winners, it’s a bit strange to see The Apartment listed in between Ben-Hur and West Side Story. As opposed to those two grandly produced and vibrantly colorful films, The Apartment is a rather low-key film, one that devotes far more time to characterization than to spectacle. And while both Ben-Hur and West Side Story are ultimately very idealistic films, The Apartment is about as cynical as a film can get. The Apartment may be a comedy but the laughs come from a place of profound sadness. Because it’s more interested in people than in spectacle, The Apartment holds up better than many past best picture winners. We’ve all known someone like Bud. We’ve all had to deal with men like Sheldrake. And, in one way or another, we all know what it’s like to be someone like Fran. The Apartment remains a truly poignant and relevant film.